The mule kick was a move popularized in hot dog snow skiing. 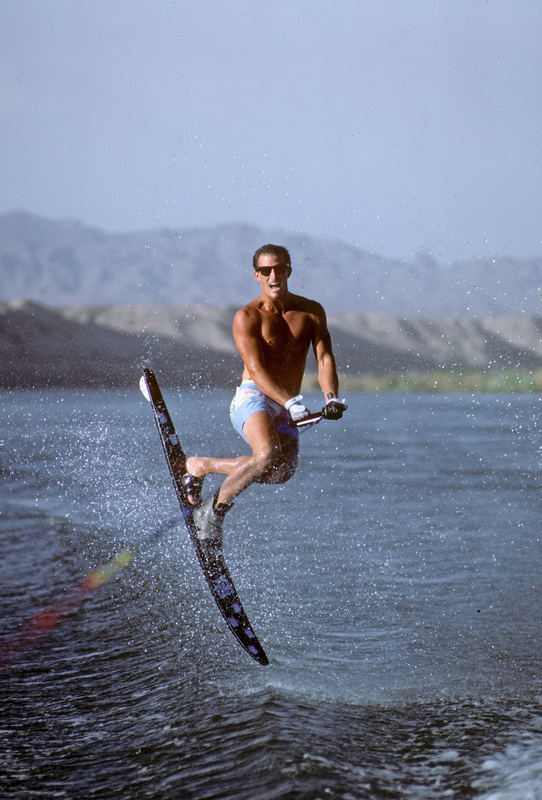 In water skiing Sammy Duvall played around with fun jumps on his single trick ski. Klarich took these influences and applied them to his slalom ski in the 1980s.